Let Your Business Experience the Power of Private Cloud Services! With the technical transformation of the market environment, Cloud Computing technology has evolved into the chief element of an enterprise’s IT strategy and operations. Choosing the right fit out of Public Cloud, Private Cloud and Hybrid Cloud to suit one’s specific requirements and finding the efficient service provider, both are the primary concerns of every enterprise. Here at NetAndHost, your most–trusted partner, with efficient Cloud solutions and Cloud Computing service areas. We make you experience the Real Power, Control, Flexibility and Integrated Management enriched with the High Security Feature of Cloud Computing services. In Private Cloud Computing, we provide complete hardware and virtual environment making you enjoy the improved performance and enhanced virtualization, without plunging into the uncertainty of a public cloud. 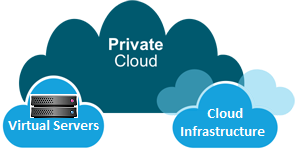 Do You Wonder Why to Choose Private Cloud & How It Works? Let us explain! Before proceeding further into our Private Cloud services, let’s have a look into the concept of Private Clouds and how these are different from a Public Cloud. Private Cloud is basically a secure cloud environment which gives the maximum benefits of virtualization to its specified user. It offers the least or no chances of uncertainty that is commonly found in Public Clouds or multi-tenant environments where a number of users access their data from a single source. On the contrary, Private Cloud Computing enables only a specific client or an organization to maintain its full control over the resources, features and data available here. Thus, Private Cloud makes you concentrate on your business rather than the worries of data protection. Cloud Infrastructure, both hardware & software, plays the most important role in bringing the richest levels of performance out of a Private Cloud. We are capable of inculcating highly secure Cloud Infrastructure ideal for your organizational capacities – whether a small website or a large IT organization. Though the Virtual Servers are much cost-effective than Cloud Infrastructure yet most businesses choose the second option due to security and privacy concerns. We feel proud to offer both the virtual servers and Private Cloud Infrastructure with enhanced features to avail you the flexibility of their usage in accordance with your requirements and situations. Looking for Enhanced Security Features in Private Cloud? You are at the right destination. Our Solutions are Designed & Dedicated for Data Security! Your business security is the prime priority at NetAndHost Private Cloud. Our team of security experts utilizes the latest techniques and data security systems to restrict unwanted connections access your cloud. You will find an automatic intrusion detection system empowered with firewall management to block threats in the first attempt only. Thus, snooping people can never harm you! We, at NetAndHost offer you the customized Private Clouds especially configured to deliver you the greatest results even in high-performance workloads. Our Private Cloud solutions have been empowered with flexibility, automated configuring and low-latency IP service to meet your expectations. Complete control in its handling is also an important feature we avail in every Cloud design.Once you try it, you will find it really easy to operate and maintain in relevance to your varying requirements. We are cost-effective & energy-efficient and we mean it! Now you can procure, install and manage NetAndHost Private Clouds without investing in costly hardware. And also it doesn’t mean that we compromise on quality terms just for cost cutting. Our virtualized servers and Cloud hosting both incorporate the latest and most advanced hardware available in the market. Due to these latest technical features, we promise cost-effective and energy efficient results whether your workload is on-premises or on Virtual Private Cloud. Scalability, both in hardware and virtual servers, is the feature that makes NetAndHost stand high in the environment of Private Cloud hosting. All our Private Clouds are designed with the feature of dynamic scalability that lets you scale all your resources up and down within the flick of an eye. Thus, you can just opt the right ones suitable for your business. The most important feature of Cloud Computing - Reliable and uninterruptable service, we have got it covered. NetAndHost owns the pride of being the most trusted platform for various Cloud Computing services. The way we have demonstrated our skills and provided quality Cloud services to thousands of our clients has made us your most reliable partner for Private Cloud hosting. We also offer flexible, scalable and production-ready customized private cloud services powered by AWS (Amazon Web Services). Like Openstack, we utilize and invest our best capabilities to implement and manage specific AWS solutions as per your requirements. 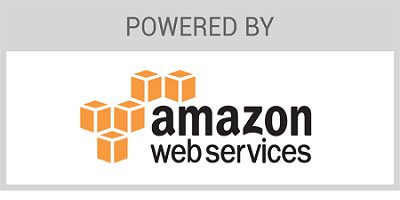 We provide services to customize and upgrade your existing environment to AWS. We also enrich our clients with the advanced and in-depth training in AWS. 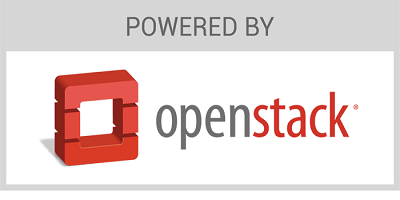 Get a highly flexible and production-ready customized private cloud powered by OpenStack and supported by the technical assistance of NetAndHost. We feel happy to provide you the powered benefits of Managed Private Cloud without the worries of handling it. We have successfully delivered OpenStack clouds to a number of our clients and helped them technically in operating and optimizing it effectively. No One Even Think of Competing NetAndHost’s Excellence in Support and Service! We provide you 24/7,365 days cost backup support that keeps on assisting you for all your related queries by all media channels – phone, e-mail and so on. Our technical support team comprises hosting, networking, cloud and security experts who are responsible for resolving all your issues rapidly. Facing any problem? Make us a call or drop an email and experience how much your convenience matters us! The excellent service, support, and maintenance make NetAndHost Private Cloud solutions as one of the best Private Cloud providers in the industry.